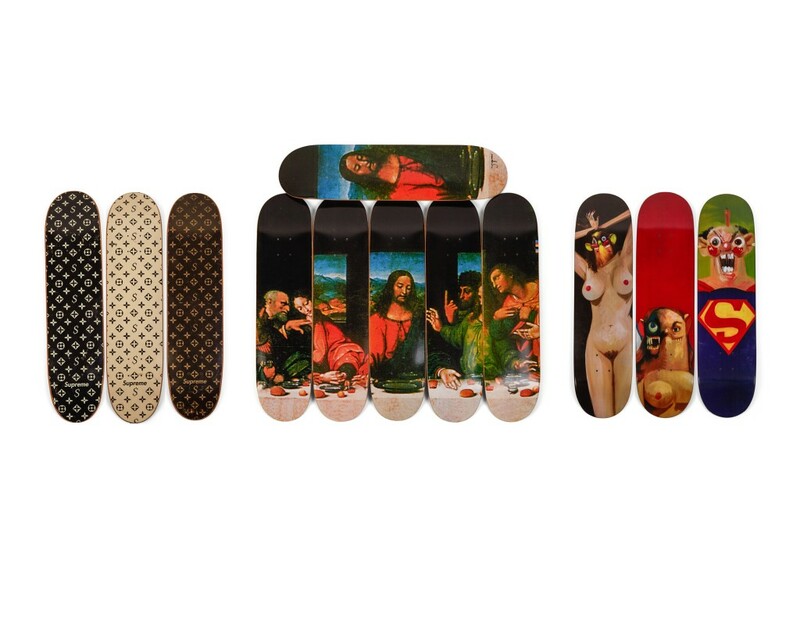 Sotheby’s is organising a huge auction of Ryan Fuller’s Supreme board this month with all pieces ever released by the brand. 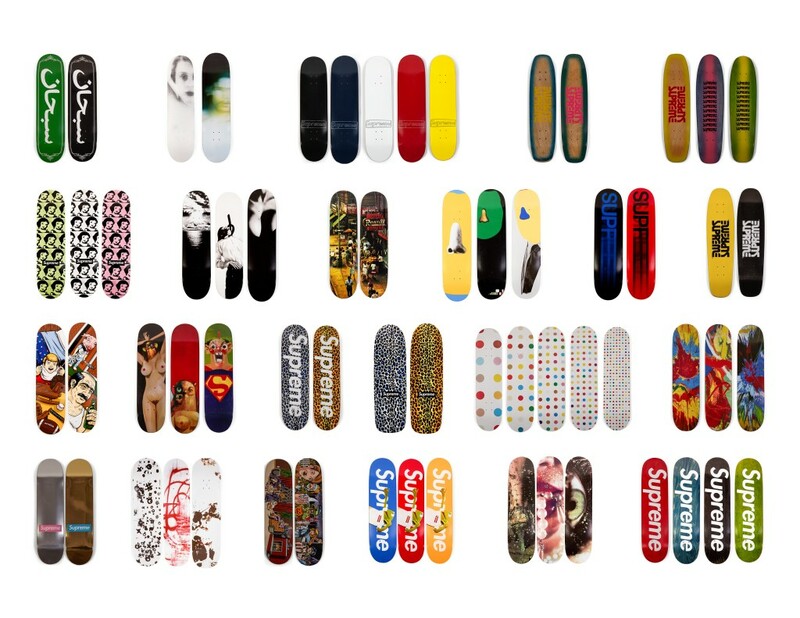 Since its beginning, Supreme always take care to stay true to its roots while releasing several numbers of board each season. 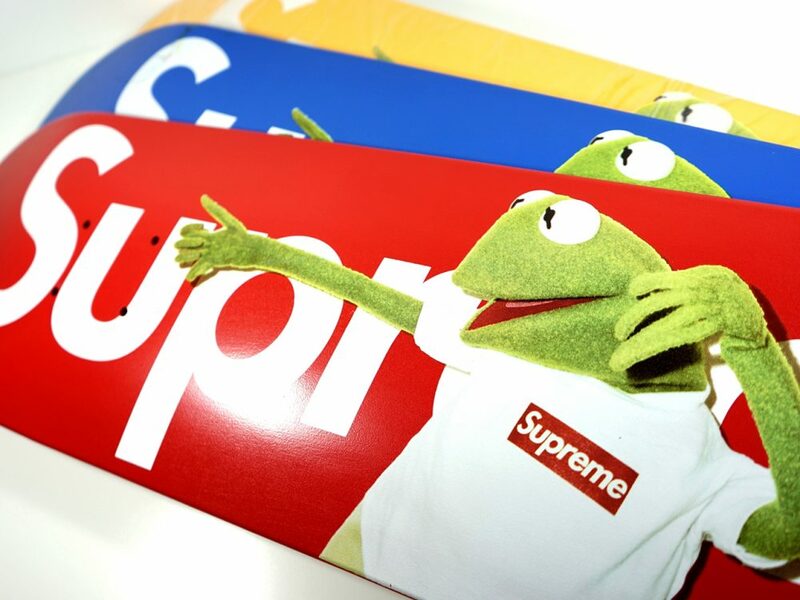 These boards are, however, moved from skateboard to the living room of their owner. 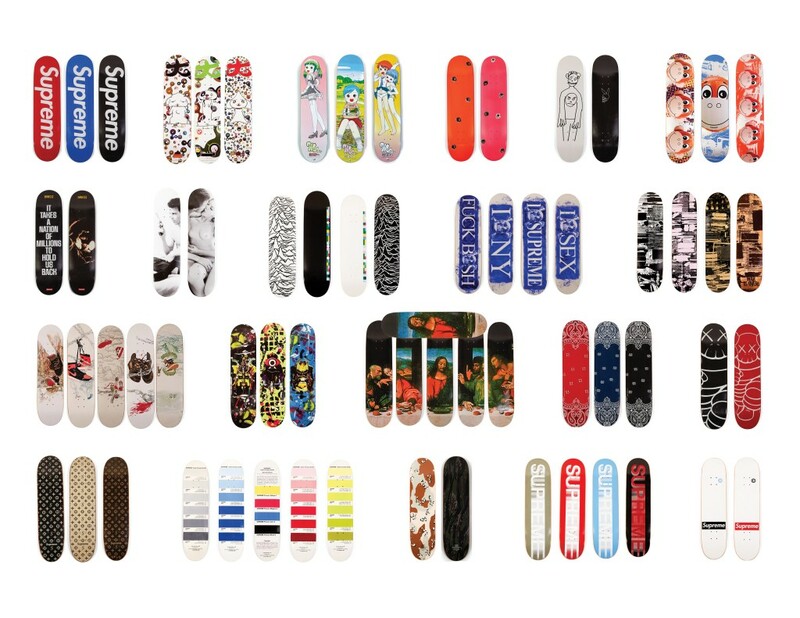 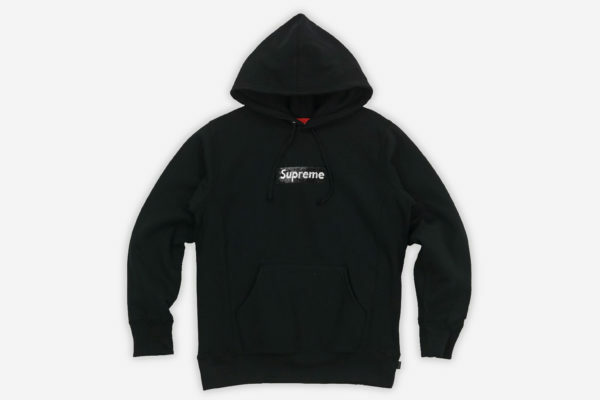 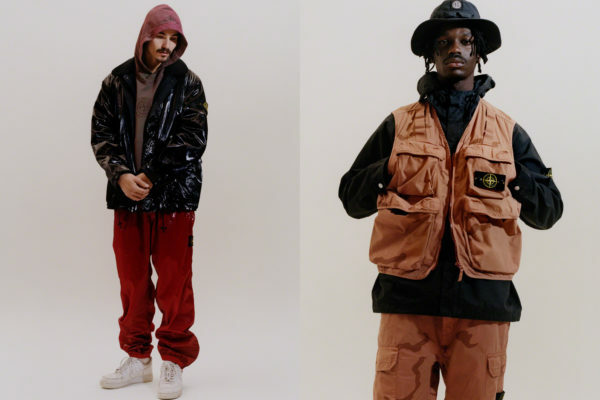 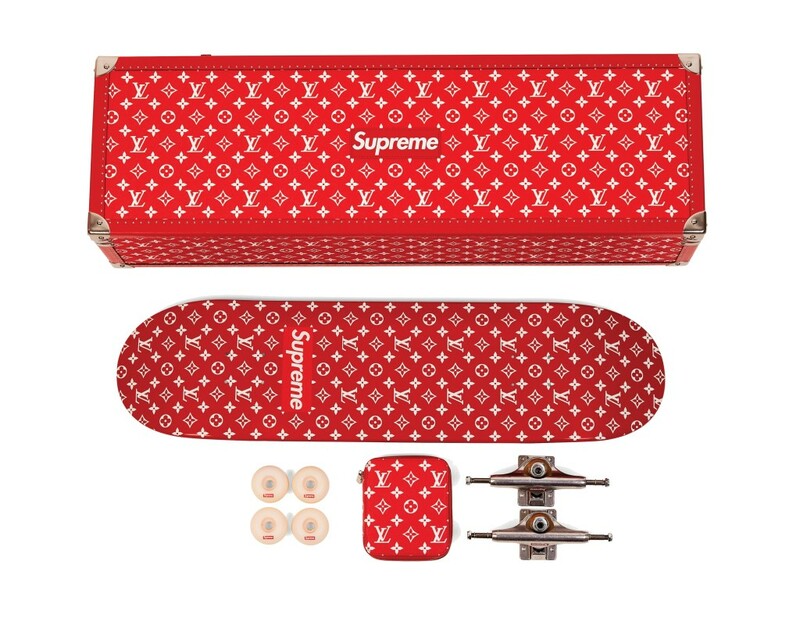 Supreme has worked with several great names of pop culture including Kaws, Damien Hirst or Jeff Koons that all work closely with the brand on several decks. 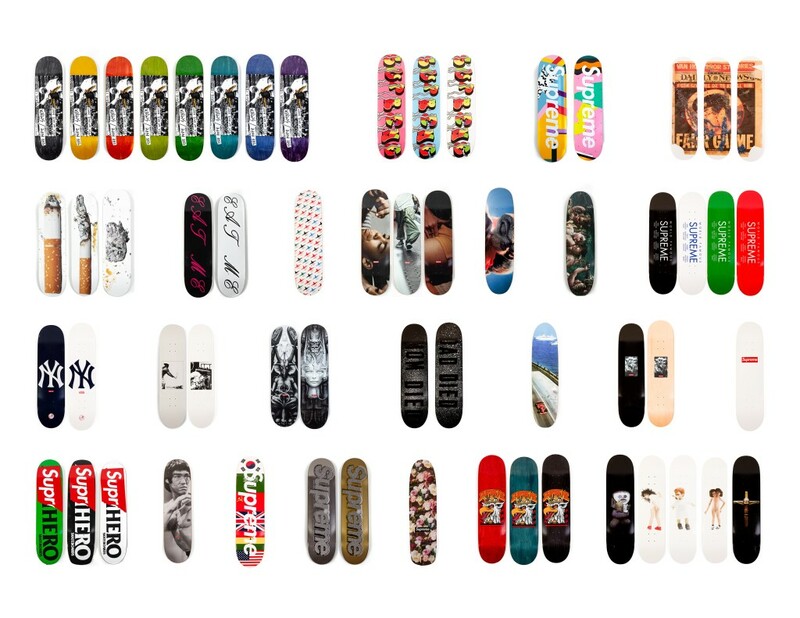 This auction reunites 248 boards inside one and only lot which is estimated between $800000 and 1,2 billion. 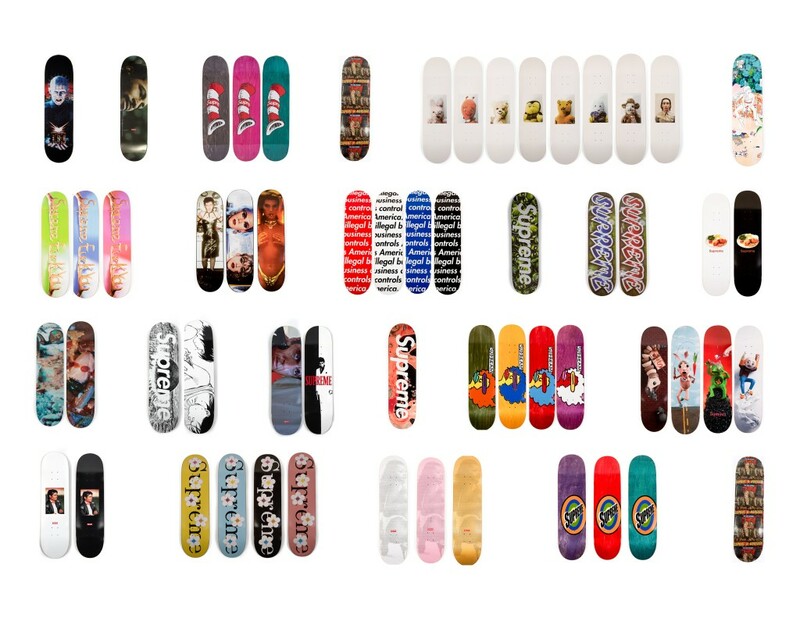 You can discover on Sotheby’s website all the deck but no need to increase the price of this meaningless auction.